Choose three Polish Pro Colours for gradient (Free Spirit, Blanca, and Temptress are shown), and shake each Polish Pro Colour well before use. 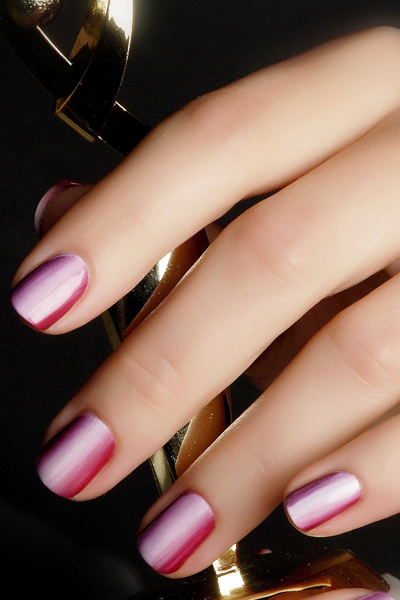 Paint even strokes of each Polish Pro Colour onto your gel brush to begin to create the ombré effect. 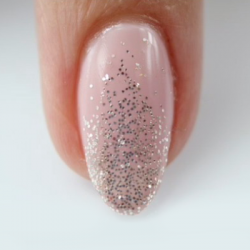 Cover the nail with several strokes for an even, thin mix of colours. Cure in the Dual Cure Lamp for 30 seconds in LED or for 2 minutes in UV. Repeat for full coverage. 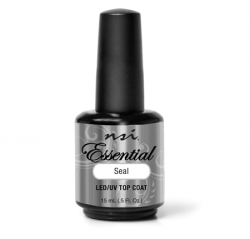 Apply a layer of Essential Seal, sealing and capping the edges. Cure in the Dual Cure Lamp for 2 minutes in UV lamp or 30 seconds in LED. Remove the tacky layer with a Nail Wipe saturated with Cleanse. 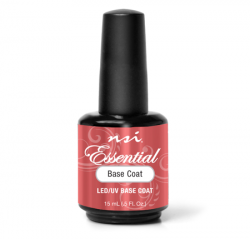 Condition the cuticle and surrounding skin with Nurture Oil.